“I have a lot of videos on my computer and phone and would like to back up them to iCloud. But I tried all means still have no idea how to do that. 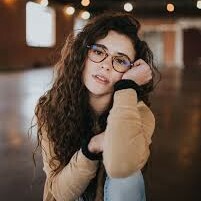 Can you share a detailed guide to me? I really expect your help.” My friend sent an e-mail to me yesterday. 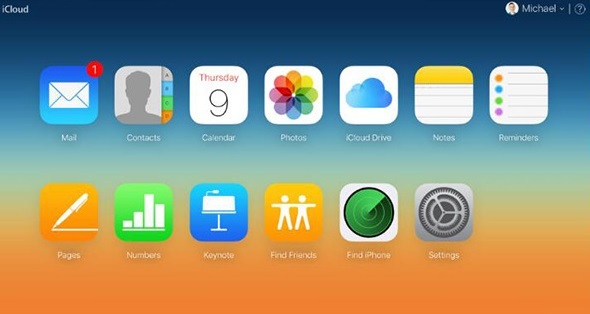 Surely, iCloud is useful in storing a wide range of files like photos, videos, mails, calendars and so on. In order to keep data safe, someone like my friend is wondering if there is any good way to upload video to iCloud. Does iCloud backup videos? Of course it does. Today, I am gonna show you how to upload videos to iCloud in this guide. Does iCloud backup videos from computer? Sure, you can store videos on iCloud from computer. Besides, you can export data on iCloud like contacts, photos and videos to your computer, then you can back up them to your new Android or Apple devices. Now let us see how to store videos on iCloud. 1. 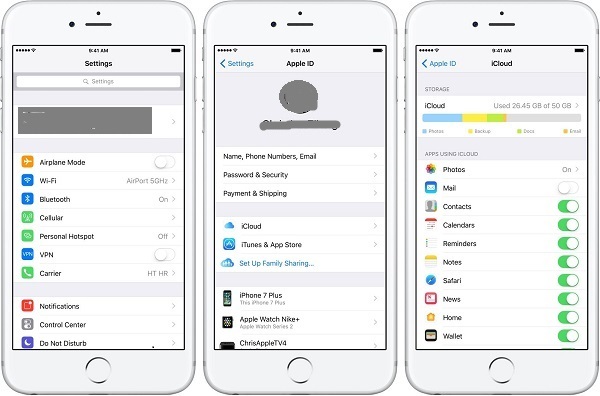 Open www.iCloud.com on your computer and log into it with your Apple ID and password. If it is your first time to log in on your computer, you will receive a verification code on your phone. Simply input the verification code and you’ll see a list of categories. 2. Click on “Photos” icon on the interface and you can see photos and videos you have now on your devices. 3. In the left sidebar, click “Video” under the name of “Album”, then click on the upload icon at top right corner. You can choose videos you want to upload them to iCloud. After that, a process bar at the bottom will show you the uploading progress. After a while, your iCloud has those videos you want. Does iCloud backup videos from iPhone? Sure, you can share videos on iCloud from iPhone wirelessly. You don’t need to rely on other devices, then you can simply accomplish to store videos to iCloud from iPhone. Check the following steps to learn how. 1. On your iPhone, tap on the Settings app. 2. Go to “Apple ID” and input your apple ID and password. 3. Tap on “iCloud > Photo” and then toggle “iCloud Photo Library” on. As a result, iPhone videos will be synced with iCloud. Can you store videos on iCloud without Wi-Fi? Leawo iTransfer is a good choice for you to transfer a bunch of files like apps, photos, movies, TV shows, ringtones, SMS, podcasts and so forth between iOS devices, computers and iTunes. 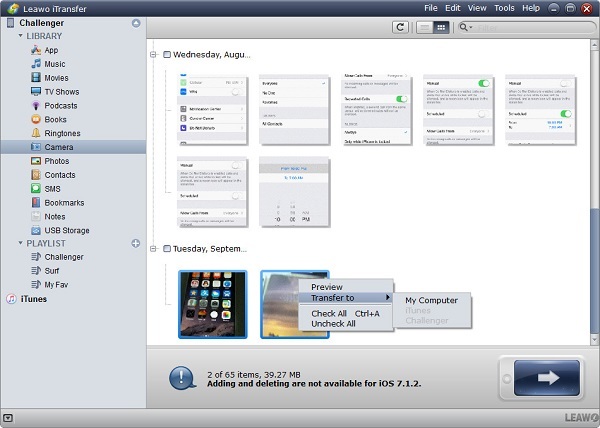 It can also help you manage iOS device files like deleting unwanted files, creating and editing playlists, etc. The most outstanding feature of Leawo iTransfer is that it is capable of transferring purchased and non-purchased items. Now let’s go to learn how to store videos on iCloud from iPhone via Leawo iTransfer. 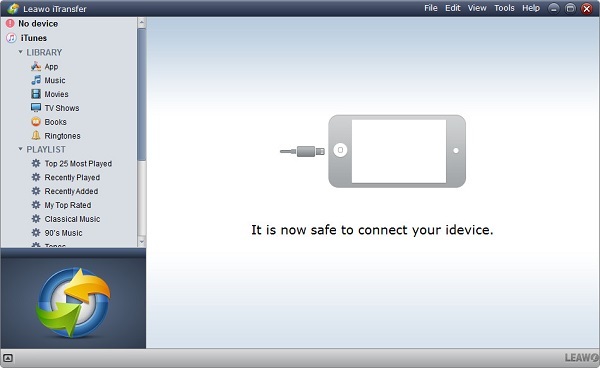 After downloading and installing Leawo iTransfer, launch Leawo iTransfer and connect iPhone to computer via USB cable. In the right interface, basic information about iPhone like capacity, serial number, etc. will be displayed. In the left sidebar, there are 12 kinds of categories like movies, TV shows, apps, photos and so on. 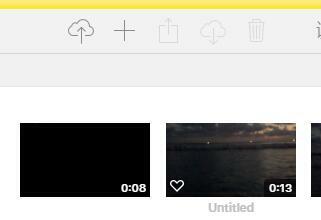 Head to “iPhone > LIBRARY > Camera” in the left sidebar to view videos on iPhone in the right interface. Press “Ctrl” and select videos you want to store on iCloud. Afterwards, right click the selected items to choose “Transfer to > My Computer”. Or you can click on the transferring icon in the lower right corner. A dialog jumps out to ask you to choose a destination folder. Click “Change” to browse computer folders to save your videos. After that, choose “Transfer Now” to transfer videos from iPhone to computer. A progress bar will show you the process of transferring. You can get videos from iPhone in a few seconds. Log in www.iCloud.com with Apple ID and password. Go to “Photos > Album > Videos” and click on the upload icon at top right corner. In the pop-up window, choose videos you transferred from iPhone to upload to iCloud. It is never a tricky issue to fix how to upload videos on iCloud. 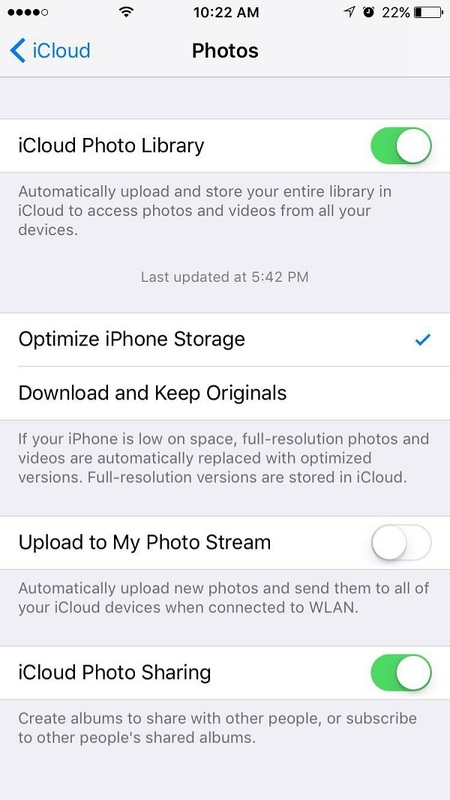 You can store videos on iCloud from iPhone simply by iPhone device itself. 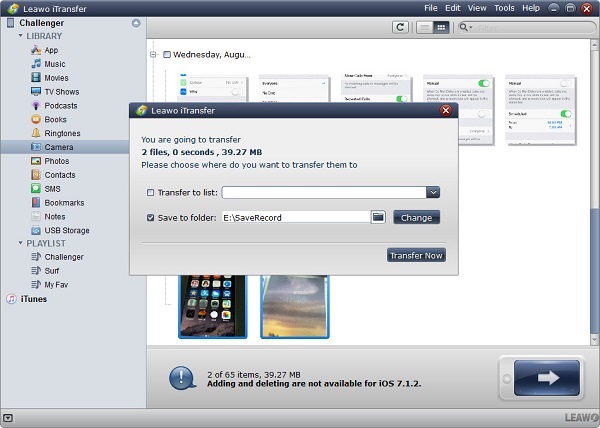 You can also take advantage of Leawo iTransfer to transfer different kinds of files like photos, videos, movies, etc. between iTunes, iOS devices and PCs. Leawo iTransfer can also help to back up the purchased and non-purchased to iTunes and computer. Anyway, next time, when someone asks you, “can I store videos on iCloud?” I am sure you won’t be confused at that and would like to share this guide with him or her.